This teaching pack has been designed to teach 0-7 year-olds a variety of lessons based on the children's book, JESUS IS GOD'S SON: THE CHRISTMAS STORY. It includes programme outlines, lessons, reproducible colouring sheets and craft templates. 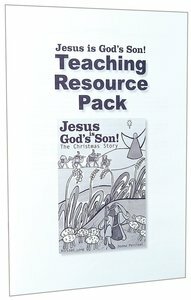 About "Jesus is God's Son: Teaching Resource Pack"